Cinco de Mayo is on Monday. It is my FAVORITE "holiday". I am a huge fan of Mexican food. We rarely eat it out, so I love going out on Cinco de Mayo for fajitas and margaritas. 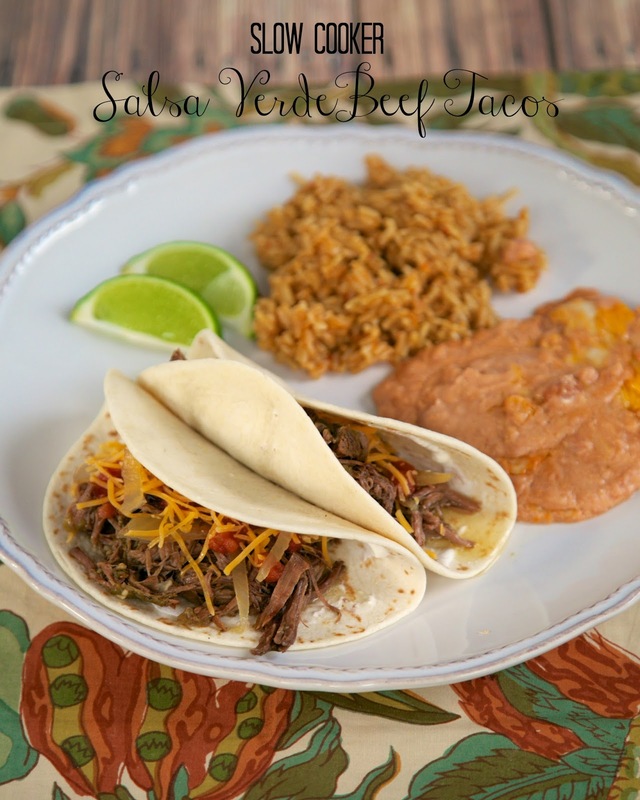 If you aren't up for fighting the crowds, these Salsa Verde Beef Tacos are a great dish for Cinco de Mayo. This only has a few ingredients and tastes great! The roast cooks all day in the slow cooker. I don't know about you, but I love easy slow cooker meals. We used flour tortillas for the tacos, but corn tortillas would be great too. Top the tacos with all your favorite toppings - lettuce, tomatoes, salsa, avocado, sour cream, cheese. Follow Plain Chicken's board Tex-Mex Recipes on Pinterest. Rub cumin and pepper over Chuck roast. Heat oil in a large skillet over medium-high heat. Cook roast for about 3 minutes on each side. Place roast in the slow cooker. Add salsa verde, onion and garlic. Cover and cook on LOW for 8 hours. Remove meat from slow cooker and shred meat, discarding excess fat. 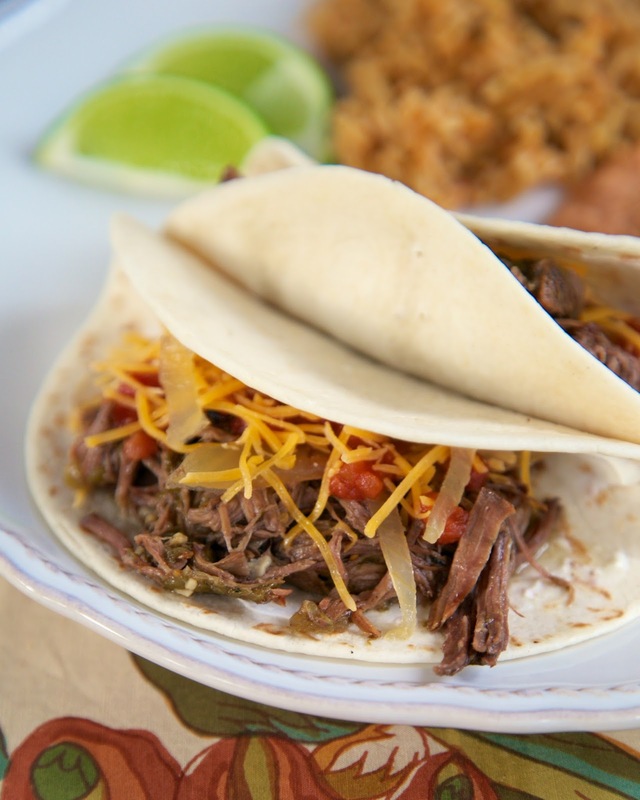 Return to slow cooker and assemble tacos. Serve with limes.